Home > Ordnance Documents and other related manuals > > Pulling Camshaft Gear. Figure 71. Removing Bearing Cup. Figure 74. Pulling Bevel Gear Pinion Shaft. 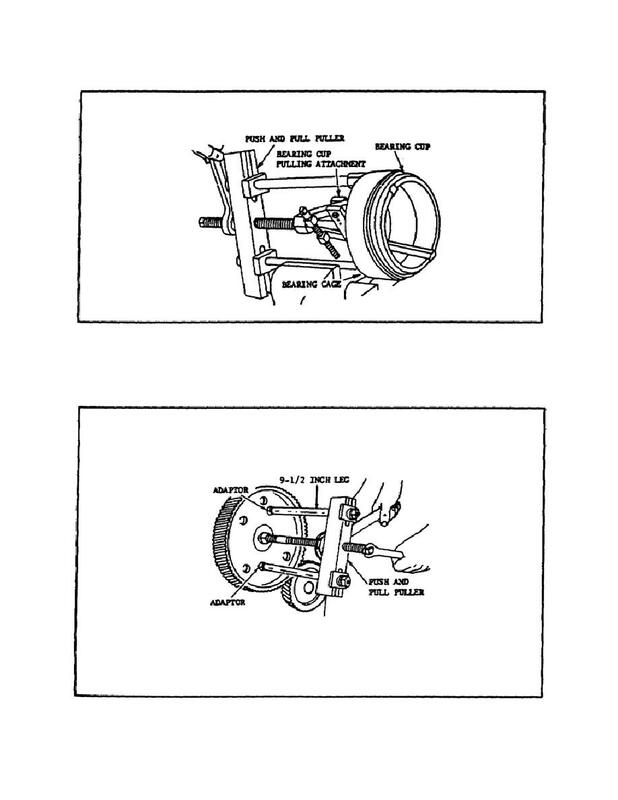 with 9 1/2 inch legs and two adapters is shown in figure 73.
protect the end of the camshaft.